After all the hype of the Olympics and Paralympics has died down, you might expect thatLondonwill be a staid and quiet place to be in the post-games lull. If you think that, you’d be wrong. As ever, London is a thriving hub of social and cultural activity and there’s plenty going on through the month of September to keep you very busy! If you want to keep on living the Olympic dream for a little longer, a visit to the DegreeArt Execution Room on Vyner Street in Bethnal Green to see Fine Art graduate portraits of 20 of the Team GB athletes on display. Created from photographs and traditional sittings, the exhibition has portraits of many ofBritain’s medal-winning Olympians including Rebecca Adlington, Victoria Pendleton, Mo Farrah and the Brownlee brothers. You couldn’t wish to find a more iconic name in the field of design as Eames, and the husband-and-wife pair brought a pioneering spirit to solving many of the problems of modern living. The design of their furniture is instantly recognisable, but few are aware of the wider work the couple took on including the design of children’s toys and even making films. 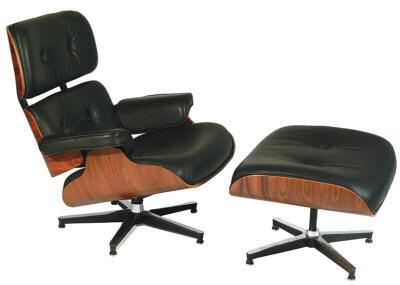 Just one of Eames’ classic and instantly recognisable designs. The P M Gallery and House on Mattock Lane in Ealing has an collection of some of the Eames’ less well-known works alongside their more recognisable designs in an exhibition that runs through until November. Amongst objects they designed and produced you will find some of the graphic designs they created, bringing a particular style to advertising communication of their age. If you happen to be in Londonon the 4th September, take a trip to Leicester Square to see the pageantry and paparazzi at theUK premiere of the big budgetHollywood blockbuster Anna Karenina. It’s not every day you get the chance to see movie A-listers right in front of your eyes, and if you play your cards right you could catch a glimpse of Jude Law and Kiera Knightley pressing the flesh with eager celeb-spotters and movie buffs before the movie opens at the Odeon. On the 8-9 September,London’s free end-of-the-summer festival takes place along the River Thames. Concentrated betweenWestminsterBridgeandTowerBridge, a whole host of events are planned including music, dance, poetry and boating drawing on the vast variety of cultures from in and aroundLondon. With taekwondo and Korean pop one day to a Brazilian carnival the next, the international spirit brought to the city by the Olympics and Paralympics continues in earnest. The two day festival culminates in a huge firework display between Blackfriars and Waterloo Bridges, the festival finishes with a real bang! If you’ve always wanted the chance to explore London’s forest fringes, 16th September sees the City ofLondon Corporation bike ride take to the paths aroundEpping Forest from 11am. Led by forest keeper Ian Greer, the bike ride will take you through some ofLondon’s most beautiful preserved green space and give you the opportunity to explore the tracks and trails. Queen Elizabeth’s Hunting Lodge, where the cycle trail starts. Starting from Queen Elizabeth’s Hunting Lodge, you’ll need a helmet, a puncture repair kit and a strong pair of legs. The party will stop along the way for you to get a drink and a bite to eat, or you can make a real day of it and pack a picnic. Armed with this list, you’ll have plenty of options to keep you entertained through the month. Take the opportunity to get out in the city and enjoy the bonhomie carried over from the Olympics and Paralympics at one or more of these events.